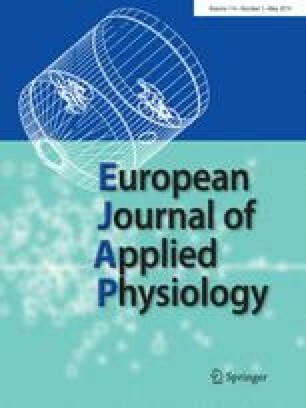 The aim of this study was to test the effects of mental exertion involving response inhibition on pacing and endurance performance during a subsequent 5-km running time trial. After familiarization, 12 physically active subjects performed the time trial on a treadmill after two different cognitive tasks: (i) an incongruent Stroop task involving response inhibition (inhibition task) and (ii) a congruent Stroop task not involving response inhibition (control task). Both cognitive tasks were performed for 30 min. Neither the inhibition nor the control task induced subjective feelings of mental fatigue. Nevertheless, time trial performance was impaired following the inhibition task (24.4 ± 4.9 min) compared to the control task (23.1 ± 3.8 min) because of a significant reduction in average running speed chosen by the subject. The response inhibition task did not affect pacing strategy, which was negative in both conditions. Heart rate and blood lactate responses to the time trial were not affected by the inhibition task, but subjects rated perceived exertion higher compared to the control condition (13.5 ± 1.3 vs 12.4 ± 1.3). These findings show for the first time that 30 min of mental exertion involving response inhibition reduces subsequent self-paced endurance performance despite no overt mental fatigue. The impairment in endurance performance observed after the incongruent Stroop task seems to be mediated by the higher perception of effort as predicted by the psychobiological model of endurance performance. The authors thank Tiffany Weedon for her help with participant recruitment and data collection.